TI celebrationing with family and friends at one of his three welcome home parties. All I have to say is I'm not mad at you Tip, get your party and family on. 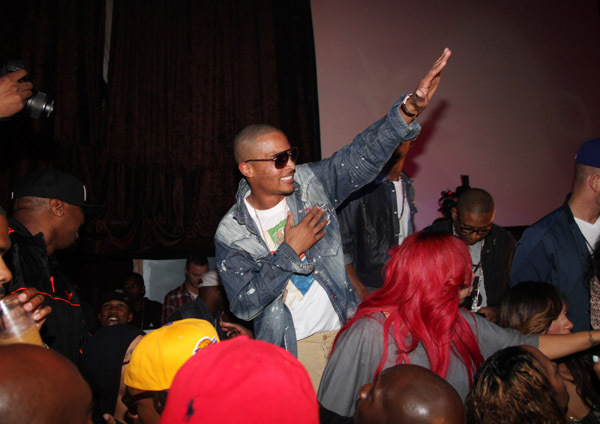 ironically TI release comes on the very weekend of the BET Hip Hop Awards ( if you can remember it was about three years ago when this very same awards show weekend landed him in trouble, that he just got over the residual consequences of) So welcome home TI. You can see his very first radio interview on v103 below. 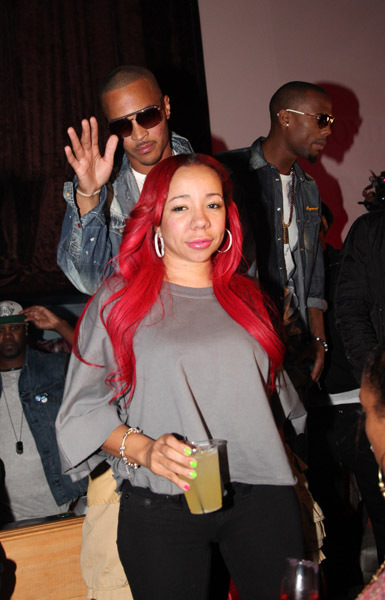 TI and his wifey Tiny. Reality check for these celebs out there trust and believe all those model type itches will not be there with you when you do a bid, not even those in your entourage, it will always be your mama and your down a** chic that has always had your back even when you didn't have a pot to piss in.